Hello Kotaku! My name is Tina. Have we met? I'm here to answer your questions with savvy advice. What questions? Any questions! Be they game-related or life-related, I want to hear you out. And I want to offer an ear and perhaps a shoulder and a few wise words. Or funny ones! Sometimes laughter beats out logic. 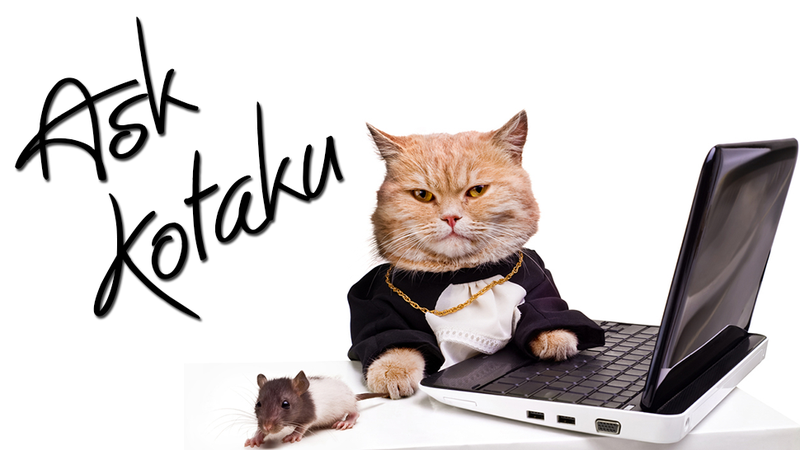 I'll be running a weekly column called Ask Kotaku where I answer your questions on the site. If you've got a question for next week's column, email it over to me at tina@kotaku.com. Now, I know what you're thinking. What's someone who uses an image of a cat on a laptop to introduce her advice column got to say to me? I'll answer your question with a question: what's someone who doesn't use an image of a thug-looking cat got to tell you? Eh? Eh? See, we're already off to a good start.